Interested in writing about theatre and performance? Greater Manchester theatres launch a free critical writing programme led by leading theatre critics Andrew Haydon and Catherine Love. Greater Manchester’s producing theatres are seeking participants from across the region for a free theatre criticism scheme.  The theatres (Royal Exchange Theatre, HOME, Contact, Bolton Octagon and Z-arts) invite applications from anyone aged 18+ with an interest in critical writing for the theatre. Both new and emerging writers are encouraged to apply. No previous experience is necessary, only a love of and interest in live performance. The scheme, which takes place over a ten-week period starting in March, will be run by professional theatre critics Andrew Haydon and Catherine Love. Over those ten weeks, you will have the opportunity to see eight new pieces of theatre in the city while honing your critical writing skills and learning from guest speakers. You will write about what you see for a website linked to the scheme and learn how to set up your own blog. To apply all you need to do is write a short piece (no more than 200 words) about a performance you have seen and a paragraph about who you are and why you want to be involved.